Hello everyone! This is GiGi from The Cricut Bug and I have a fun Birthday set to share with you. This would make such a cute gift for that special someone who's having a Birthday. 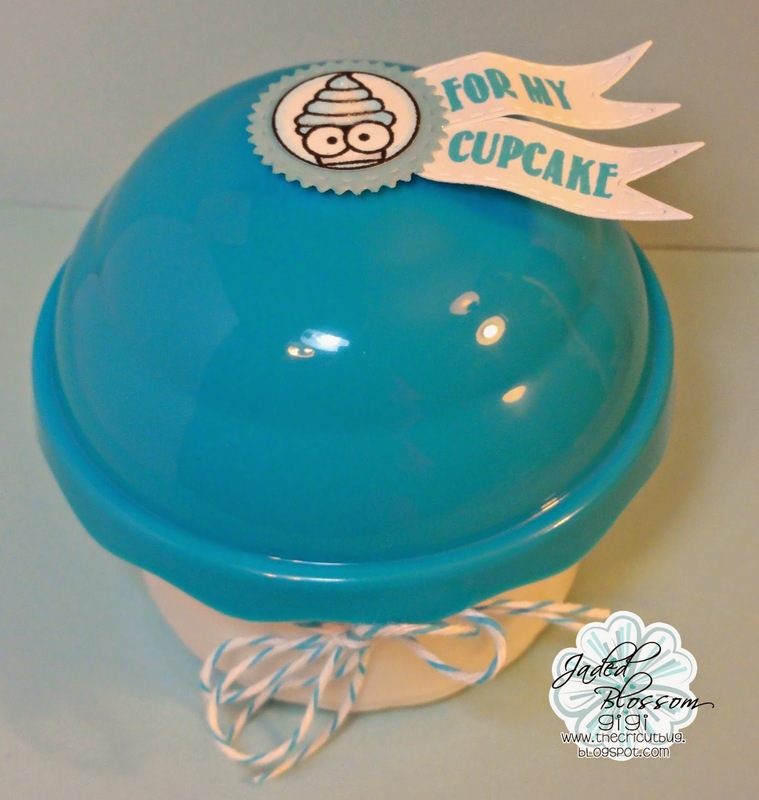 I found these single cupcake storage containers at the store and that is what inspired this project. I wish I could say that there is a cupcake inside that container but there is not. You can't just make 1 cupcake, so my problem would be eating them ALL! LOL! The card base is cut from the Arched Card 2 Base and I embossed the white mat with the Cuttlebug Spots and Dots folder. I cut the girl from SVG Cutting Files Cupcake Girl and stamped her face with a Peachy Keen face. 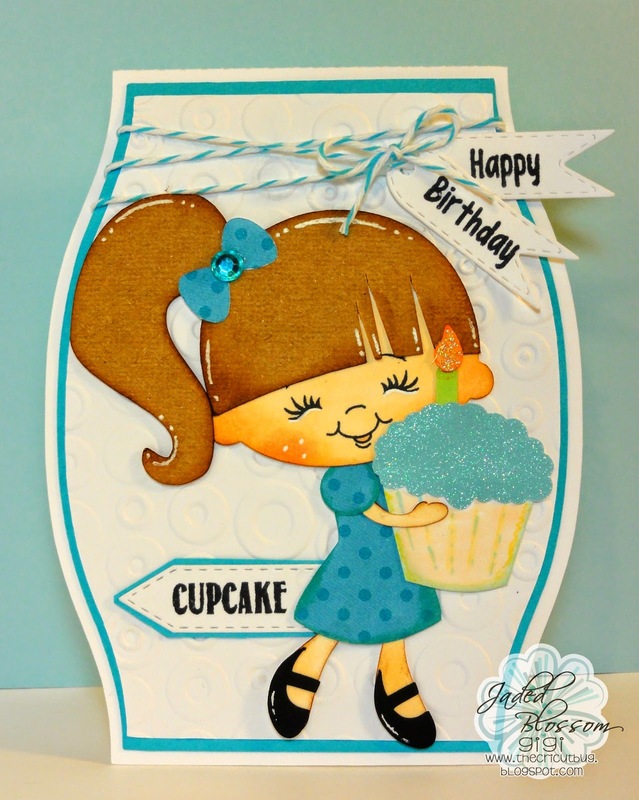 The sentiment banners were all cut from the Mini Tag Dies and I stamped the Happy Birthday with a sentiment from the Go Team stamp set and the Cupcake sentiment from Sprinkled With Love. 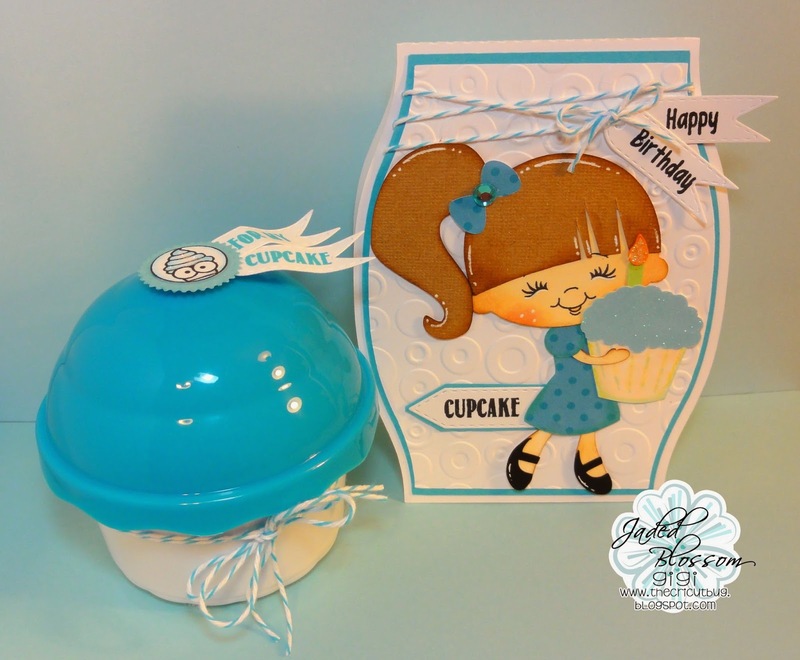 I stamped the circle cupcake and sentiment from the Sprinkled With Love stamp set and mounted it on a scallop circle cut using the Candy Charms and Banner Dies. I attached it with a pop dot and added a twine bow to the bottom. I hope you all enjoyed seeing my project today and thanks for visiting! Great set for a birthday girl. And yes, you are right...you can't make one cupcake, but you could share the rest.